The success of Nine’s Married At First Sight bodes well for Ten as they prepare to roll out The Bachelor AND The Bachelorette. Dating shows haven’t been this hot since the heady days of Perfect Match and although Dexter isn’t posed for a comeback, more TV matchmaking probably is. Nine is already reviving The Farmer Wants A Wife after the disastrous When Love Comes To Town and since Natalie Gruzlewski (who hosted both) has now left Nine, expect someone fresh and different (I’m kidding, it’ll probably be Scott Cam). That leaves just Seven without a dating show but given the unimaginative state of TV today, they are probably beavering away right now on their own version. Dating With The Stars, perhaps? Barely a day goes past without a News Ltd newspaper and its spookily similar commentators re-hashing and bashing the ABC over and over again. The Australian recently described putting Bananas in Pyjamas and other much loved characters into Dreamworld as “kids exploitation” which was a welcome change from putting the boot into Tony Jones but still utterly ridiculous given most pre-schoolers are actually besides themselves with excitement. I’m not saying the ABC should be above criticism but what’s missing from this tiresome campaign is any mention of the great work achieved by Aunty’s local radio stations (particularly in rural Australia with no other voice) and the outstanding output from their comedy, drama and indigenous TV departments. But hey, let’s just write another piece about how biased Q&A is, shall we? There aren’t many TV shows that can raise me out of bed at 5am but SBS had my full attention when they finally broadcast Eurovision live into Australia. 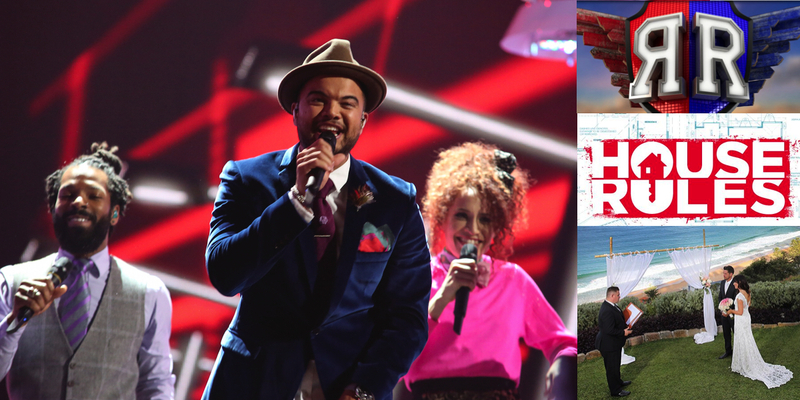 And what utter joy it was to see Guy Sebastian do us all proud (who knew he would be THAT good) and constant and enthusiastic references to us all down under (like “Good evening Europe and good morning Australia!”). This telecast gets more mind-blowing every year with its cutting edge design, staging and presentation and to be part of it all in real time was stunning. Afterwards, SBS included new material into the primetime repeat thereby making it necessary for all homosexuals… I mean Eurovision fans … to watch all over again. Whatever it cost to be involved was worth every bloody cent so here’s to many, many more.